A few weeks ago, I wrote about the best beach and sport sunscreens for your skin, products free of the wrong chemicals and containing the right ones. A solid way to avoid those nasty sunburns. In the spirit of Zero Waste, and avoiding those plastic bottles, here is an even better product – homemade sunscreen. In this episode (of Surf Sufficient) we teach you how to make your own high spf, water proof sunblock from organic and natural ingredients for pennies on the dollar compared to buying it off the shelf. Ingredients include- zinc oxide (sunblocking agent), coconut oil (soothes and conditions skin), bee’s wax (waterproofing agent), and tea tree oil (soothes and repairs skin and smells good too). 1. Boost your immune system: Lemons are high in vitamin C, which is great for fighting colds. They’re high in potassium, which stimulates brain and nerve function. Potassium also helps control blood pressure. 3. Help with weight loss: Lemons are high in pectin fiber, which helps fight hunger cravings. It also has been shown that people who maintain a more alkaline diet lose weight faster. 6. Clear skin: The vitamin C component helps decrease wrinkles and blemishes. Lemon water purges toxins from the blood which helps keep skin clear as well. It can actually be applied directly to scars to help reduce their appearance. 8. Relieve respiratory problems: Warm lemon water helps get rid of chest infections and halt those pesky coughs. It’s thought to be helpful to people with asthma and allergies too. 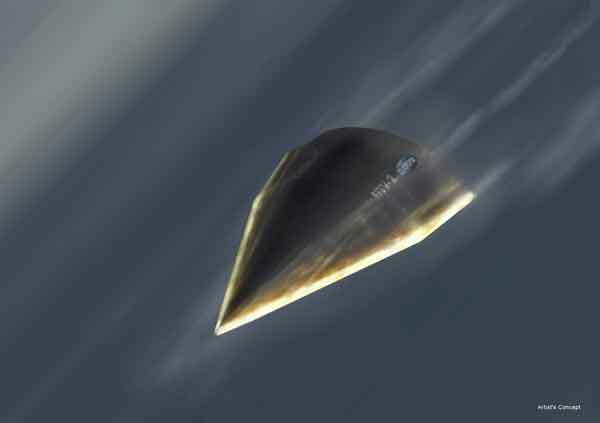 It’s amazing that this Hypersonic jet was able to travel more than 13,000 mph with heats of over 3,500 degrees. During flight it experienced shockwaves, 100 times more powerful than expected, which caused it to spin. It then righted itself and flew for twice as long before technicians finally aborted the mission. In August the Pentagon’s research arm, known as DARPA, carried out a test flight of an experimental aircraft capable of traveling at 20 times the speed of sound. The arrowhead-shaped unmanned aircraft, dubbed Falcon Hypersonic Technology Vehicle 2, blasted off from Vandenberg Air Force Base, northwest of Santa Barbara, into the upper reaches of the Earth’s atmosphere…then glided above the Pacific at 20 times the speed of sound, or Mach 20. The plan was for the Falcon to speed westward for about 30 minutes before plunging into the ocean near Kwajalein Atoll, about 4,000 miles from Vandenberg. But it was ended about nine minutes into flight for unknown reasons. The launch had received worldwide attention and much fanfare, but officials didn’t provide much information on why the launch failed. The flight successfully demonstrated stable aerodynamically-controlled flight at speeds up to Mach 20 for nearly three minutes. Approximately nine minutes into the test flight, the vehicle experienced a series of shocks culminating in an anomaly, which prompted the autonomous flight safety system to use the vehicle’s aerodynamic systems to make a controlled descent and splashdown into the ocean. …larger than anticipated portions of the vehicle’s skin peeled from the aerostructure. The resulting gaps created strong, impulsive shock waves around the vehicle as it travelled nearly 13,000 miles per hour, causing the vehicle to roll abruptly. Based on knowledge gained from the first flight in 2010 and incorporated into the second flight, the vehicle’s aerodynamic stability allowed it to right itself successfully after several shockwave-induced rolls. Eventually, however, the severity of the continued disturbances finally exceeded the vehicle’s ability to recover. Sunscreens prevent sunburns, but beyond that simple fact surprisingly little is known about the safety and efficacy of these ubiquitous creams and sprays. FDA’s failure to finalize its 1978 sunscreen safety standards both epitomizes and perpetuates this state of confusion. EWG’s review of the latest research unearthed troubling facts that might tempt you to give up on sunscreens altogether. That’s not the right answer – despite the unknowns about their efficacy, public health agencies still recommend using sunscreens, just not as your first line of defense against the sun. – No consensus on whether sunscreens prevent skin cancer. – Some evidence that sunscreens might increase the risk of the deadliest form of skin cancer for some people. – The common sunscreen ingredient vitamin A may speed the development of cancer. – Free radicals and other skin-damaging byproducts of sunscreen. 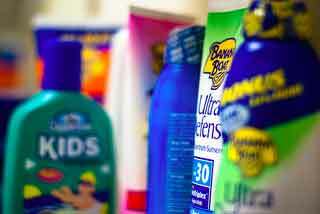 – Pick your sunscreen: nanomaterials or potential hormone disruptors. – The 34th summer in a row without final U.S. sunscreen safety regulations.